When finding new food processing equipment for your plant, there are many options to consider and choosing one that fits your requirements and goals can be challenging. One solution to finding the best equipment for your food processing plant is custom designed equipment. Below are just some of the benefits to partnering with a custom manufacturing company for your custom processing equipment needs. With custom equipment, it can be designed to integrate into your current operations seamlessly, no matter the age or style of your current factory or commercial kitchen. A custom manufacturer of food processing equipment can design equipment to the unique dimensions and specifications that fit your current process. Your specifications might include the size of the space you have to work with, or size or shape of the finished product. Another benefit to having custom fabricated food processing equipment is that it can better serve your goals. Whether it’s processing, product output or safety, custom designed and manufactured equipment can help reach your product goals and may even make processes more efficient. Starting with a working prototype will help eliminate any bugs before duplicating the food processing equipment for more locations or stations within your food processing plant. Like with most companies, yours has specific standards and requirements for the equipment you purchase such as sanitation, safety, speed, durability, etc. With so many requirements, it can be difficult to find stock equipment that meets every single one. With custom designed equipment, your manufacturer will take every requirement into consideration to ensure your new equipment aligns with your company’s specific needs. When purchasing food processing equipment, safety is one of the top priorities and requirements can often vary from factory to factory. Because of this, stock equipment often does not meet strict safety requirements and instead meet general guidelines. Custom food processing equipment is designed to meet your company’s specific safety requirements right from the start. Your custom equipment manufacturer will take into consideration all your safety requirements and design equipment that not only meets your needs. As a custom manufacturer, Barnes can make any type of machine or part of a machine for almost any industry. 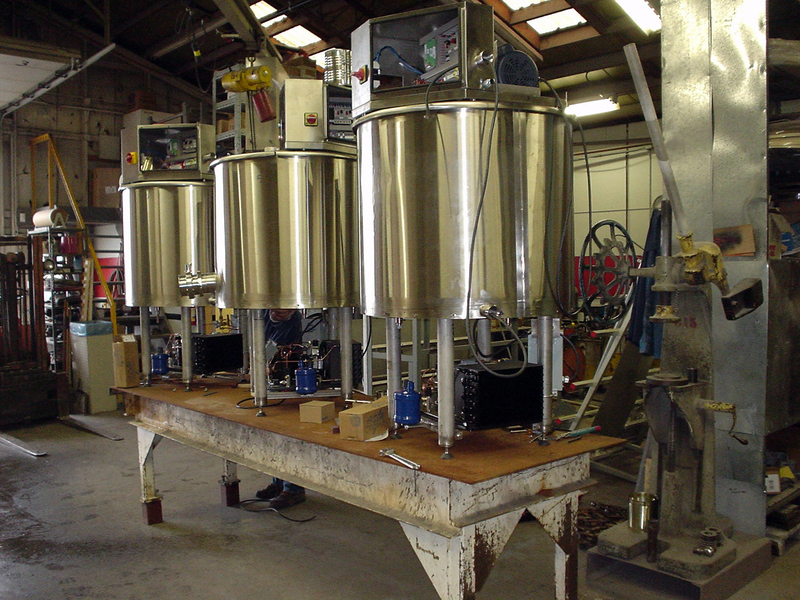 We design and fabricate custom food processing equipment to Food and Drug Administration regulation and can even make replacement parts that are no longer made. Contact us today to learn more about our custom manufacturing services for food processing equipment.